Saugerties' commitment to energy reduction was evident almost twenty years ago. In 2002, when renovating the Kiwanis Ice Arena, the town incorporated the most energy efficient and cost-effective design at the time. During the past two decades, we have witnessed the town's continued commitment to adopt energy-efficient measures, reduce energy costs and reduce greenhouse gas emissions. The Town Board created a Green Energy Task Force in 2008 that successfully assisted the town in reducing its energy use. When expanding the Town Hall, the task force worked with the assistance of a green architect who specializes in environmental and green design. The process resulted in high efficiency in-floor radiant heating, programmable thermostats and vapor barriers being installed. More than ten years ago, the town government authorized an energy audit for the Greco Senior Center resulting in the replacement of the old boilers and their associated components. 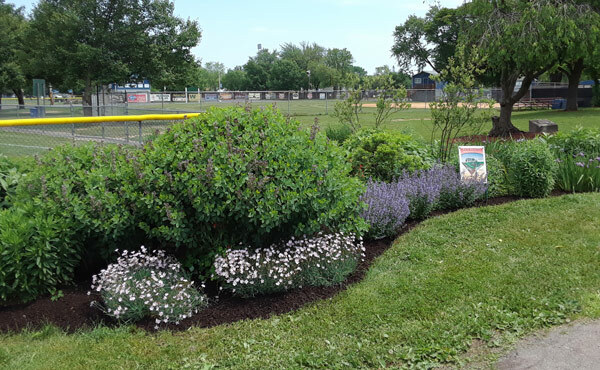 A Rain Garden was created at the Greco Senior Center parking area to capture rain water and reduce flooding. What's referred to as the Old Town Hall also received an energy audit more than ten years ago and many energy-efficient recommendations were implemented. In 2010, the Town utilized a Central Hudson grant program and replaced most of its older municipal lighting fixtures with energy efficient lights at no cost to taxpayers. The Town saved approximately $27,400 annually in electricity costs, reduced its annual municipal electricity usage by 195,804 kWh and its carbon dioxide emissions by almost 163,000 pounds. The result of these past efforts was reduced energy usage, reduced energy costs and fewer greenhouse gas emissions. Saugerties worked with East Light Solar of Boston to undertake a two megawatt community solar project at the former town landfill. Completion of the solar farm is expected in late 2018 or early 2019. The Town Board fully supported a Solarize Saugerties Campaign resulting is 66 residences receiving roof top solar panels. 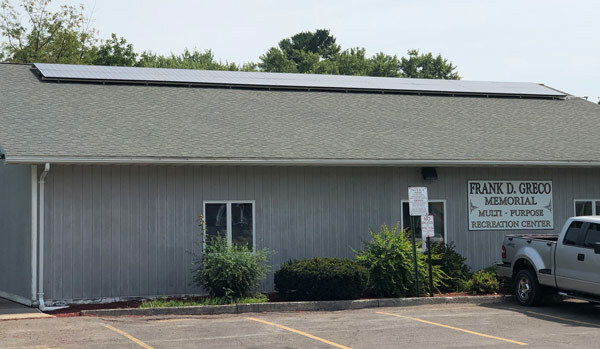 Roof top solar panels were installed at the Greco Senior Center as a donation by Direct Energy Solar, an installer that participated in the Solarize Saugerties Campaign. The Town Board amended the town zoning ordinance in 2017 to provide for large-scale solar projects. The ordinance ensures that the Town Planning Board pays careful attention to impacts on agriculture, view sheds, and forest cover in siting such projects. Saugerties was one of five communities cited by Governor Andrew Cuomo in early 2018 to host a 20-megawatt wholesale energy solar farm. Saugerties installed its first Electric Vehicle charging station at the Kiwanis Ice Arena in 2017 and plans on adding two more to the Cantine Veteran Memorial Complex by the spring of 2019. 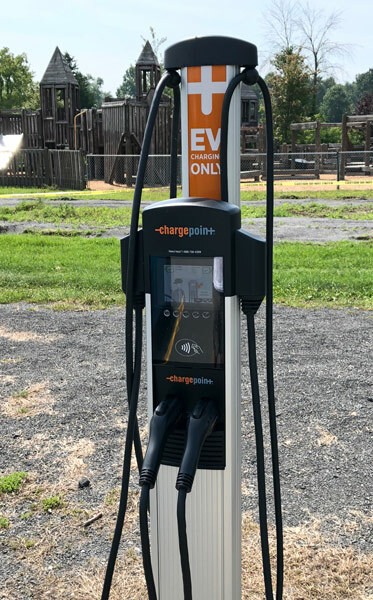 The installation of an EV charging station is also planned at the Saugerties Public Library, closer to the National Historic Business District, providing for a total of eight charging units (two per station) in Saugerties. Saugerties is planning energy audits in 2019 to determine future ways to reduce energy use and effect cost savings. Scheduled for the audits are: the Greco Senior Center, the Kiwanis Ice Arena, the Town Hall and the Glasco Wastewater Treatment Facility. A planned replacement of the Ice Arena will include major energy upgrades for the arena itself and its support buildings. Most recently, Saugerties was recognized by New York State with a Clean Energy Community designation. The designation qualifies the town for a $5,000 energy grant to assist in the implementation of future energy-reduction measures. Saugerties is among only four towns in Ulster County to achieve the designation. Now, the task is to further reduce energy use, reduce energy cost and reduce greenhouse emissions. Here's what you can do.